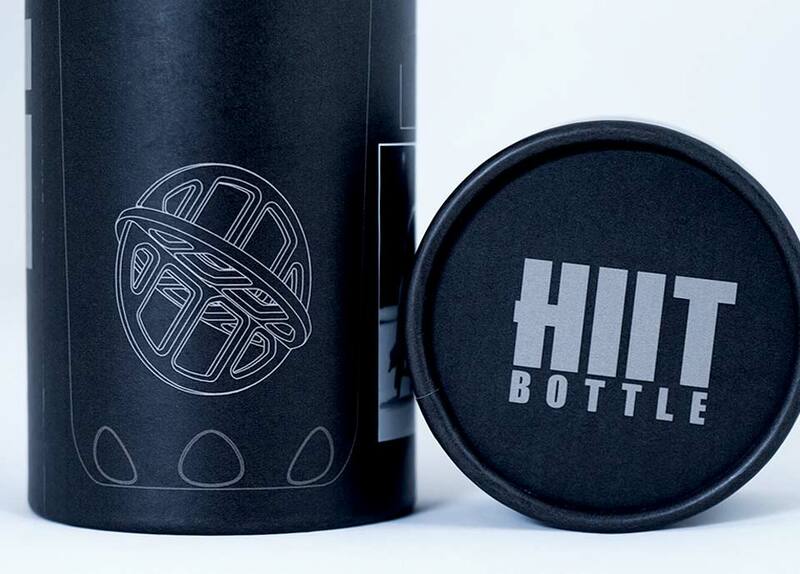 The makers of the HIIT Bottle came to us with a big idea, but no experience with which to make it a reality. We saw this simple 3D Prototype, and we were inspired. 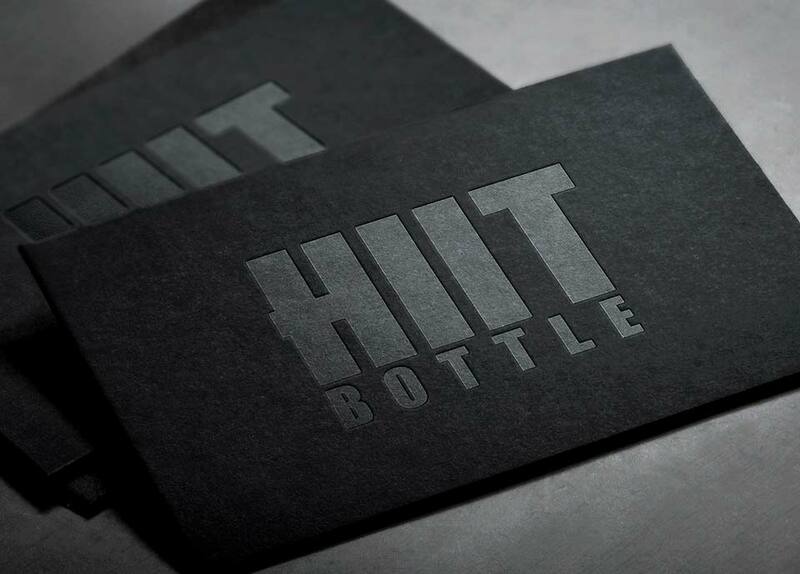 We worked on establishing this new brand through the development of a logo & identity; we incorporated photography and design to not only brand the bottle, but to inspire the lifestyle it promoted. The brand immediately took off, and we were able to manage a badass Kickstarter campaign that raised $130,000 in just 45 days. First and foremost, We needed to build the identity for this new brand. 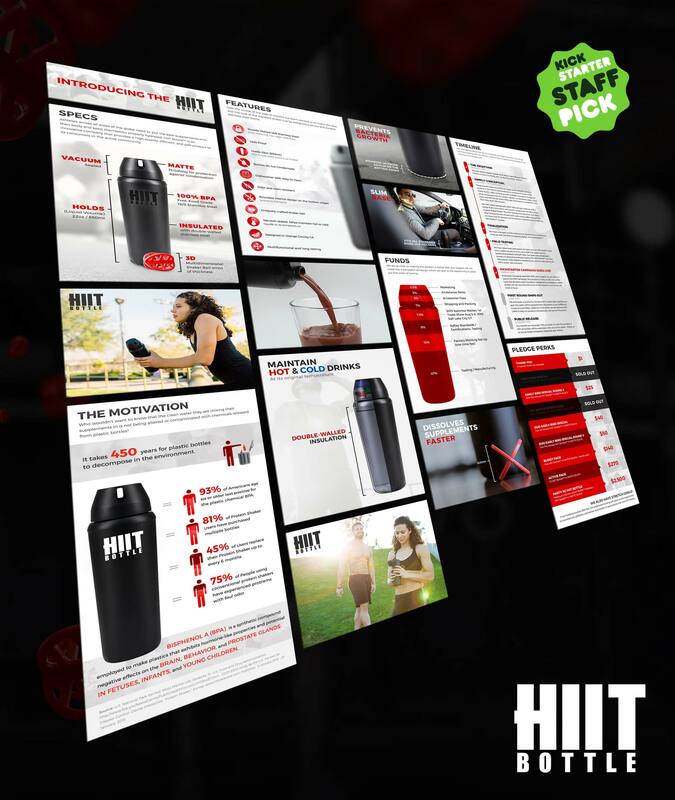 We needed to align our creative with the objectives of a successful Kickstarter crowdfunding campaign. 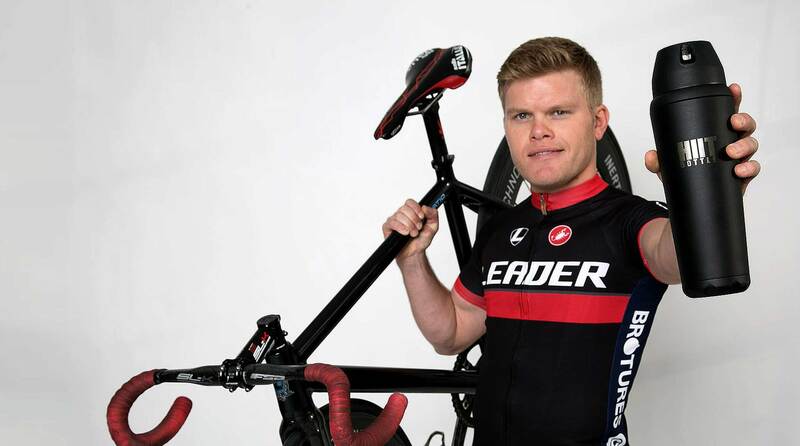 We offered complimentary photography to help get this project off the ground. 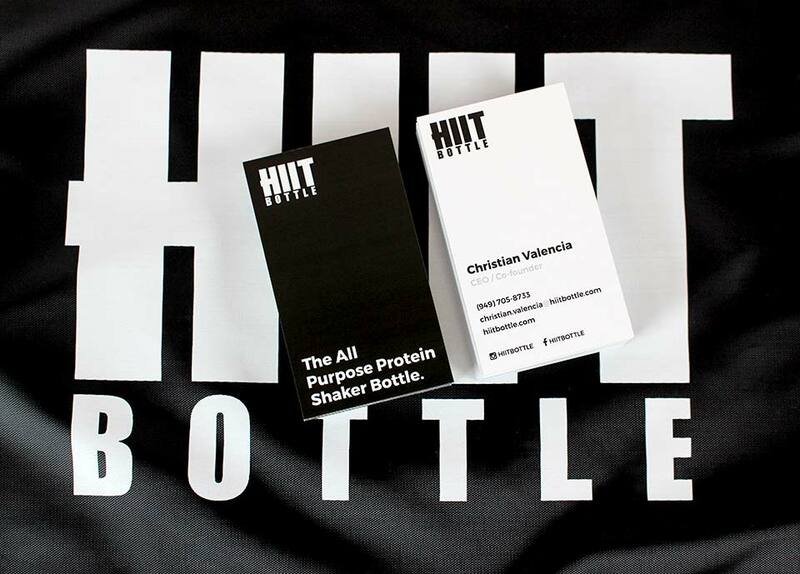 After our successful campaign, we created several assets to prepare HIIT Bottle for its entry into the mainstream market. 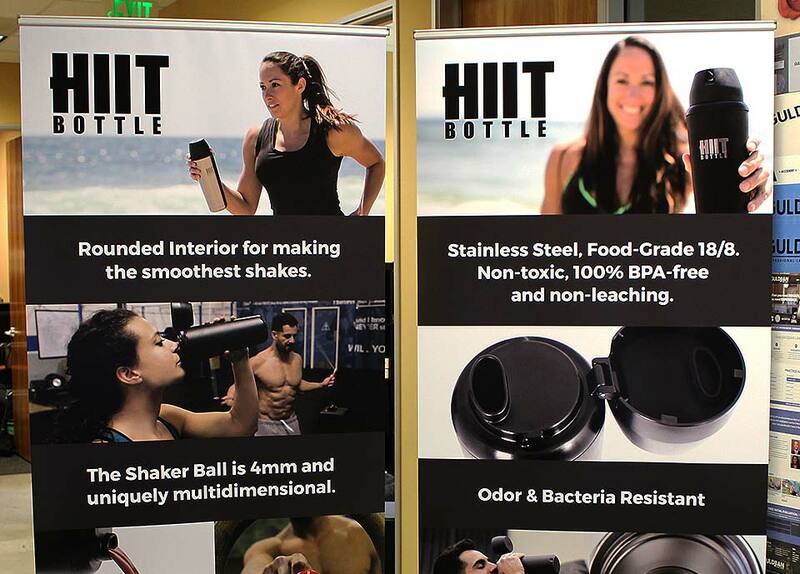 We helped develop all the tradeshow collateral, packaging decisions, social media management, new brandable website, and photography to prepare HIIT Bottle for success. 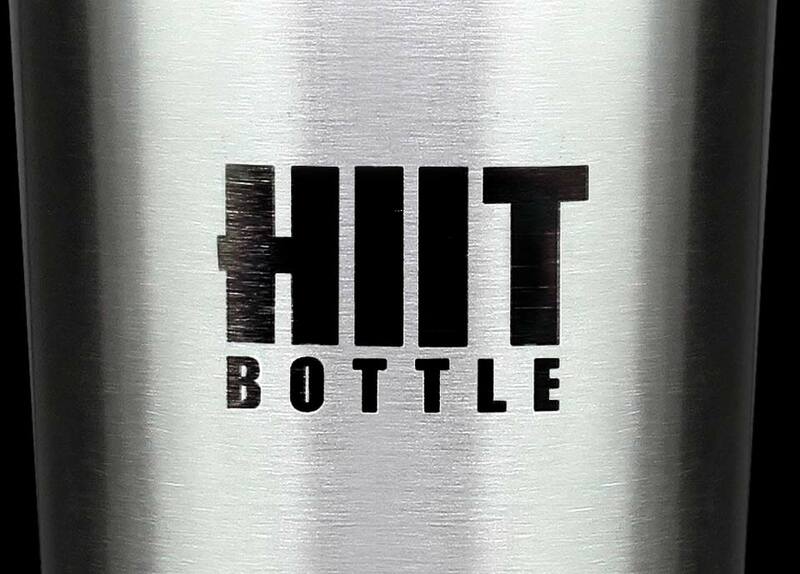 Our objective for the logo was to make sure HIIT Bottle had clear, definitive recognition across all mediums. We integrated a strong, bold typeface to reinforce what a trusted and revolutionary brand this is. A successful Kickstarter was our immediate concern. 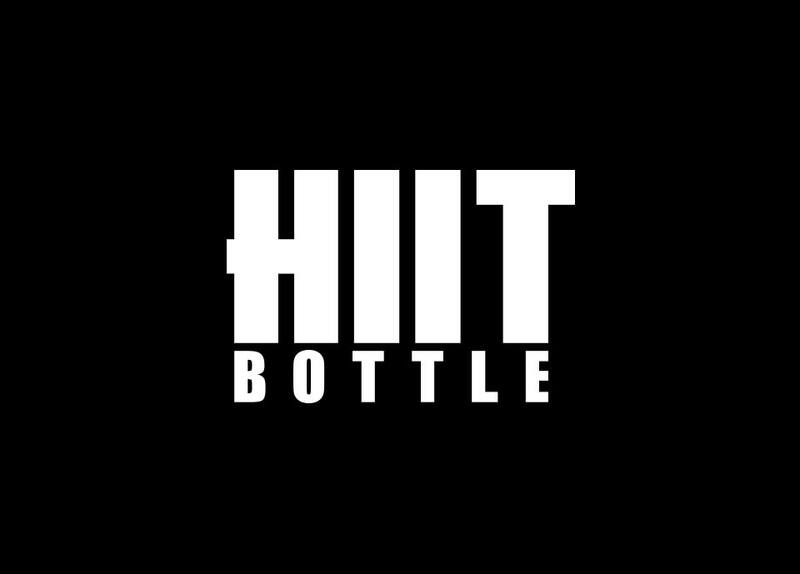 We produced a video to show how the bottle was engineered and developed throughout the process. We complimented the video with various digital assets for the Kickstarter which included several infographics, brandable collateral, and much more. 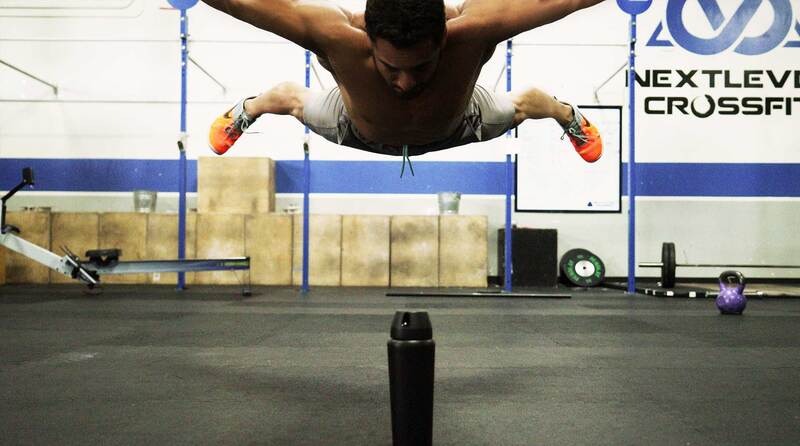 We partnered with a PR Firm and enlisted the crossfit community locally to gain traction and brand recognition during the campaign. Our engagement efforts immediately resulted in a strong buzz, and as a result, we were able to raise a whopping $130,000 in 45 days! Kickstarter is a great resource for new businesses to launch new products. 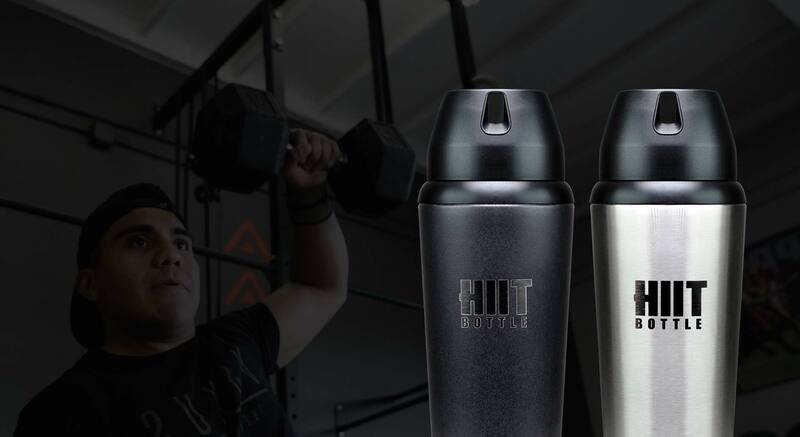 HIIT Bottle was able to run a campaign, raise $130,000 in sales, and even test their product with their first round of manufacturing all through Kickstarter. As always, focusing on consistency and alignment for this new brand. 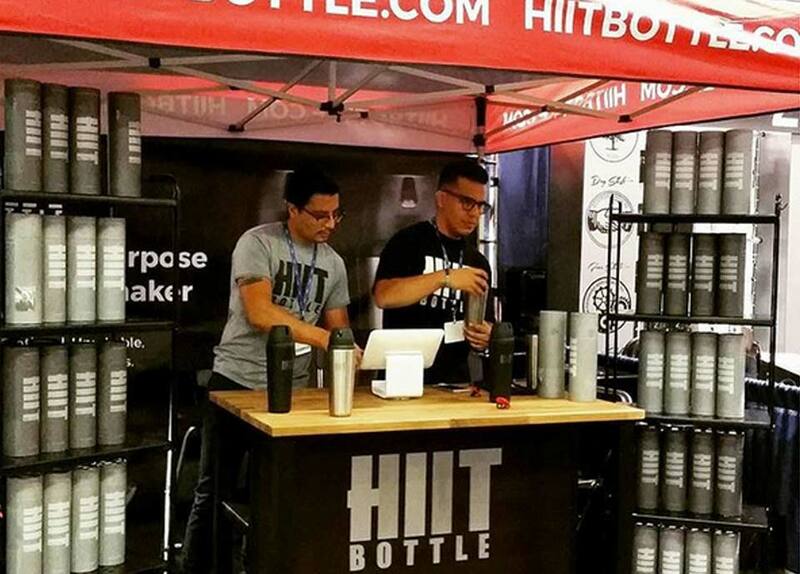 As HIIT Bottle’s business grew, so did their demand for a physical presence at various events. 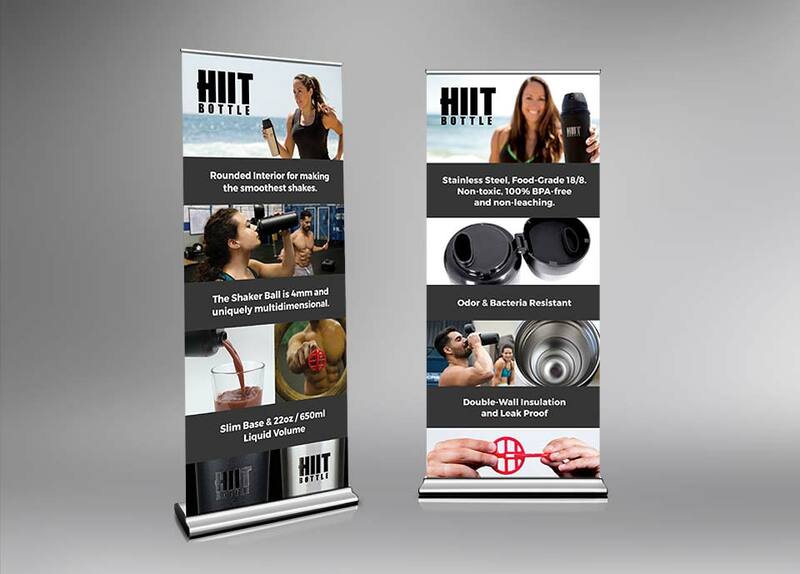 We created several assets including, brochures, banners, tradeshow booths, packaging decisions, etc for the HIIT team to use to promote their brand. Often, eCommerce websites are being overlooked, and more and more, businesses need to revisit ways to improve the sales cycle and influence better conversions. 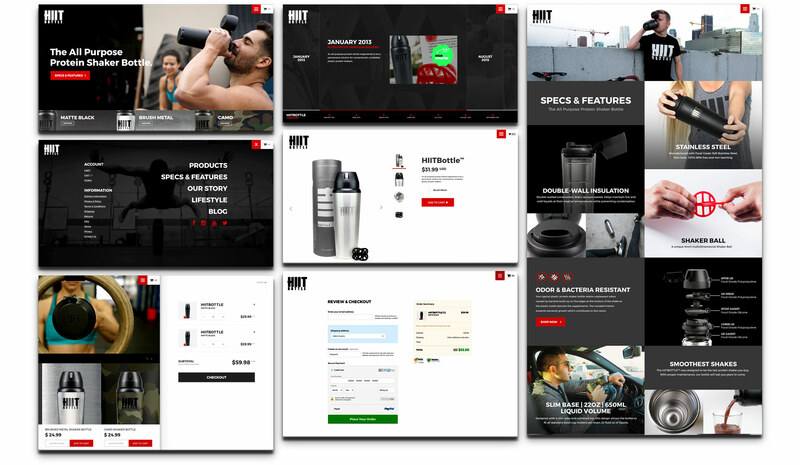 Our team strategized for weeks to put together the best purchase-flow to the HIIT Bottle website. 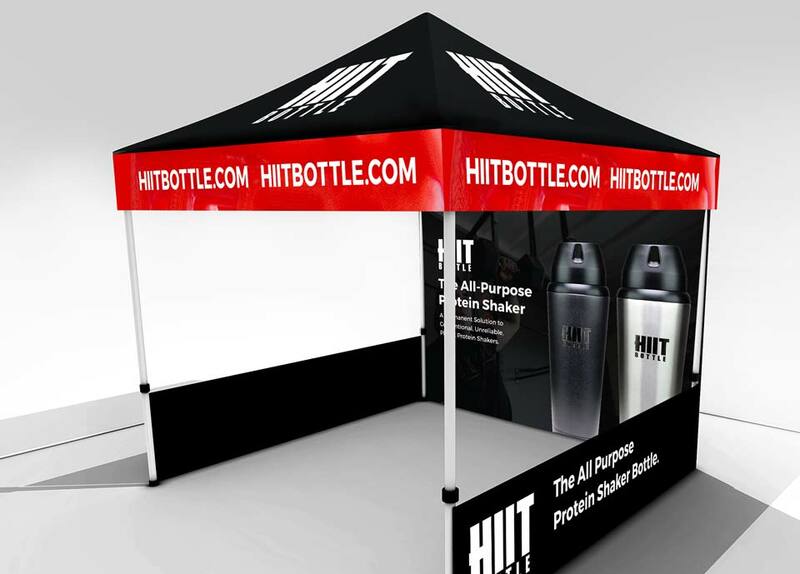 We needed their product to absolutely shine, while improving their digital conversions and driving results. 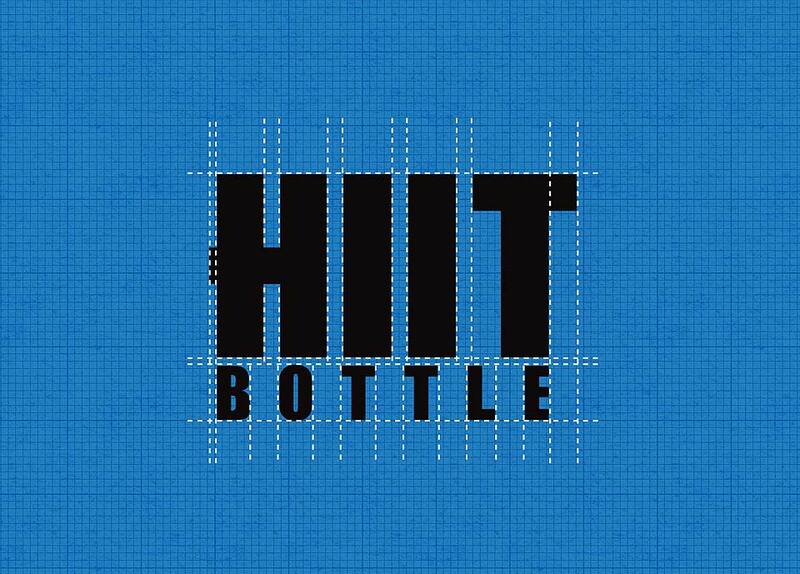 We used dynamic, thematic photography to set the tone of the HIIT Bottle brand. 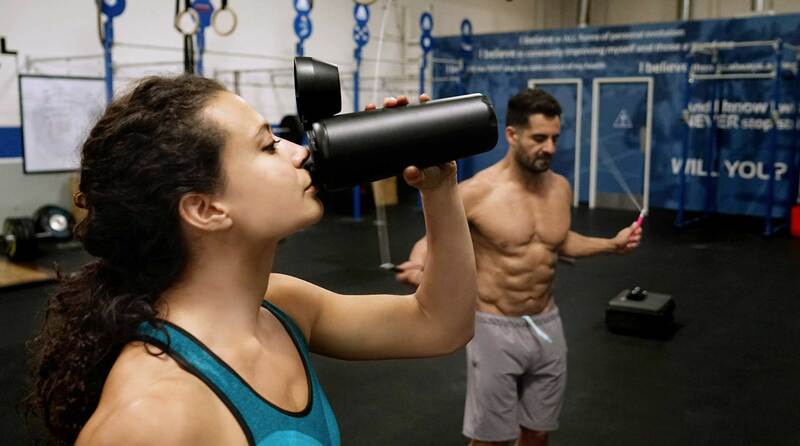 Their audience needs to recognize the high-quality engineering and the focus on a fit lifestyle when they see these photographs. We shot several days in different settings and with various models to ensure we really nailed the right look & feel of HIIT.